What a Star buy these are! Here is our brilliant collection of Glass Star Trophies. Unique designs and top quality, these Glass Awards are some of the best Awards around, And you can be sure of that every time you order from Aford Awards. 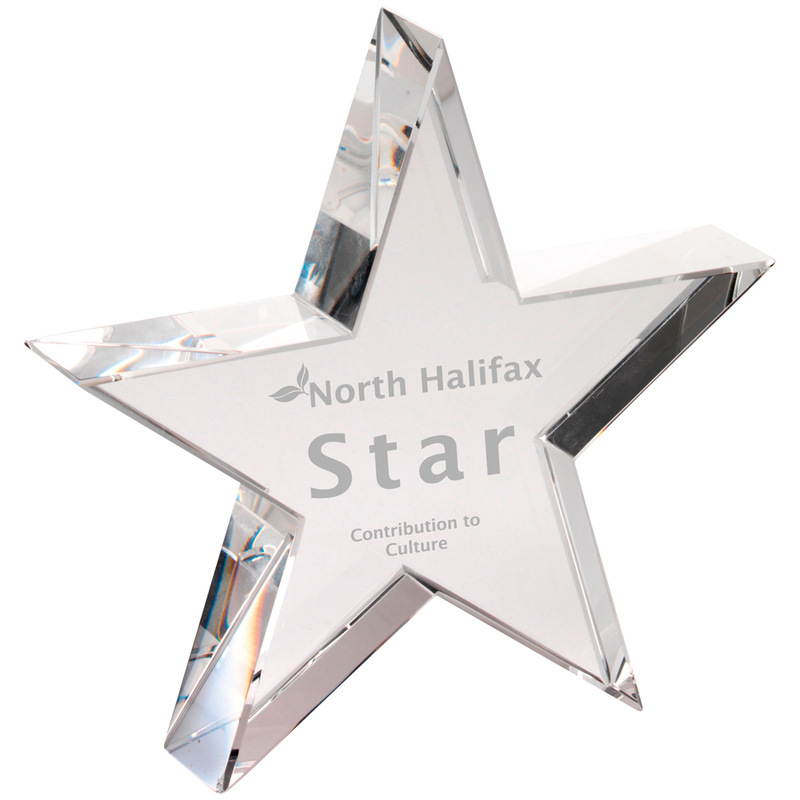 For the star of the show, it has to be one of these Star Glass Trophies. We're proud to say that all our Trophies and awards here at Aford Awards come with the (what should be award winning); FREE Engraving! So no hidden charges, no excessive Engraving costs, just honest FREE, top quality Engraving. You can save even more if you buy in bulk! Huge savings of nearly 40% on the individual items! If you would like any help regarding these Glass Awards, then please contact our friendly staff on 01622 738711. They are trained with excellent knowledge on all our Products.